The reveal for Shen's champion update is up, including a preview of his new visuals, updated skins, and new passive, Q, & W, and more! Continue reading for more information and red posts on the Shen champion update! 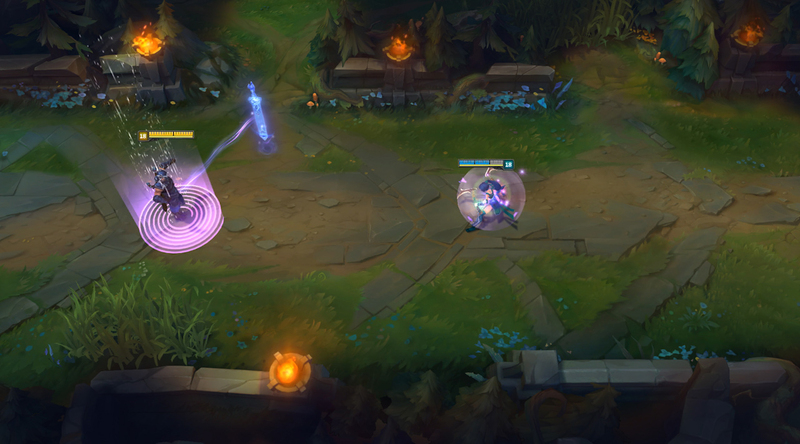 After casting an ability, Shen gains a temporary shield. The shield has a relatively long cooldown which is significantly reduced if one of his abilities affects an allied or enemy champion. Shen calls his spirit blade, empowering his next three basic attacks to deal damage based on a portion of his target’s max health. If his spirit blade collides with an enemy champion on its way to him, Shen deals increased damage and gains greatly increased attack speed. 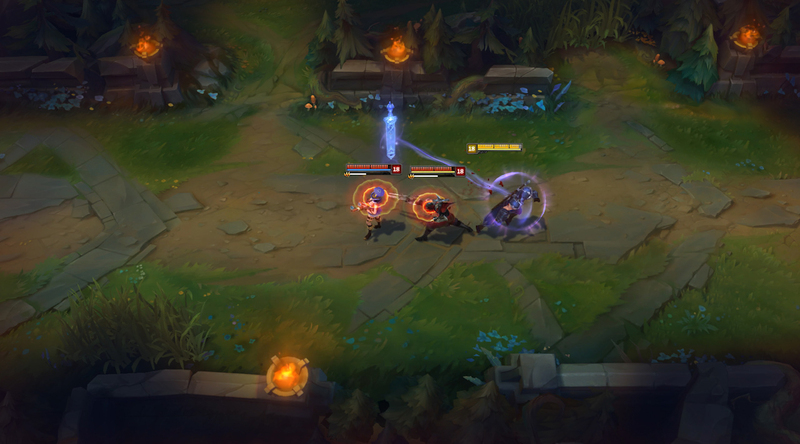 All enemies struck by the returning blade briefly suffer reduced movement speed when moving away from Shen. Shen’s spirit blade creates a protective barrier that allows Shen and his nearby allies to dodge all basic attacks for a few seconds. The ability triggers when there are allied champions in the zone - if there are no allies are in the zone, it waits to start until one gets close enough. 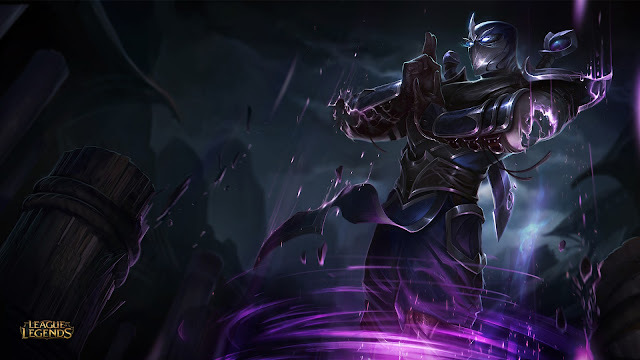 Passive: Shen recovers a flat portion of energy whenever he deals damage with Twilight Assault or Shadow Dash. 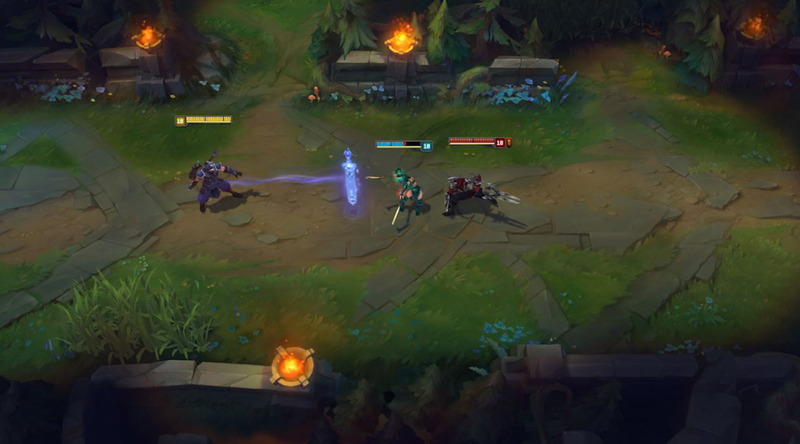 Active: Shen dashes in a target direction, dealing damage to all enemy champions in his path and taunting them briefly. Shen channels as he prepares to teleport to an allied champion anywhere on the map. As he channels, he grants his target a shield, and once he arrives, he brings his spirit blade with him. First things first: Shen’s staying largely faithful to his original design. He’s still a tanky energy-based champ, and his E and R are pretty much identical. You’ll still be able to pull off your last-second ults to save a teammate from death, and still surprise your enemies with those fancy-pants taunt -> flash -> taunt moves. Or y’know, accidentally flash -> taunt absolutely nothing -> spill drink over keyboard, if we’re being real. Then there are Shen’s other abilities. We wanted to put into effect a pretty fundamental change to his combat patterns by giving Shen and his opponent more things to do and think about during each game. His old Q had some neat interactions with other champions, but ultimately it was basically a point-and-click damage ability with some bells and whistles attached. Feint - his old W - had aged even worse, and was basically a pretty bland shield (because practically no-one built AP on Shen) that just interfered with his otherwise precious energy pool. We quickly identified both abilities as prime candidates for the champion update team’s efforts. Basically, we’re fine with Shen engaging in extended one-on-one duels, but we want those fights to be a bunch more engaging and skill-based than they were. "We wanted to give Shen and his opponent more things to do and think about during each game." So how’re his new abilities different? 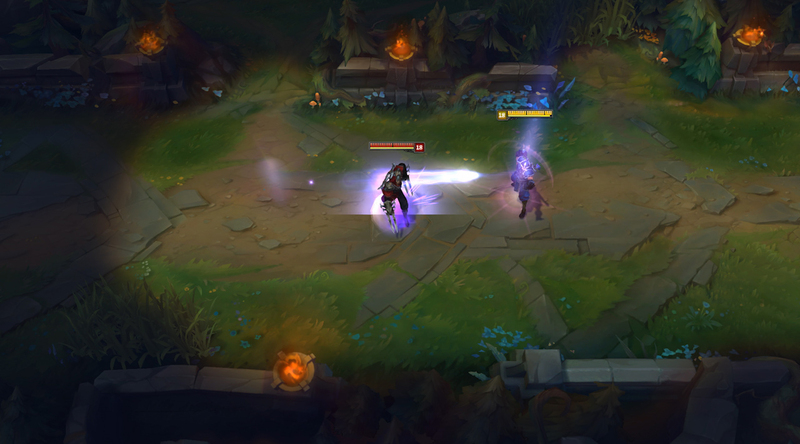 Well, his new Q - Twilight Assault - completely changes how and when Shen wants to fight. He’s purely melee now, obviously, so can’t bully or last hit from range. Instead, he’s all about positioning, manoeuvring around his opponent so his Q casts pull his spirit blade through his enemy. His opponent wants that to not happen, obviously, resulting in the two tangoing around their lane for positional advantage. Shen can force the issue by Shadow Dashing in, landing the taunt, then pulling the spirit blade through. This gives him a pretty big boost to his damage, and opens up Spirit's Refuge to parry his opponent’s reply. His new W has serious implications in teamfights, too, giving his entire team the means to dodge incoming basic attacks. Again, this all requires positional smarts, and the ability’s cooldown means he’ll only really get one shot with it per late-game fight. It’s a strong ability, basically, but only when it’s used properly. Finally, Shen’s new passive shield is a key part of the big man’s repertoire, particularly come late game. Past level 16, his shield literally has no cooldown when he lands his abilities on other champions, meaning smart and dexterous Shen players get to morph into mighty unkillable supertanks. "Shen’s all about positioning, manoeuvring around his opponent so his Q casts pull his spirit blade through his enemy." That’s about it for Shen’s changes. We’re kicking out a couple of his old abilities and replacing them with more interesting tools that should give him clearer goals during each game. At the same time, we’re brushing up his visuals, refitting him with a new model and better particle effects across the board. So let us know your thoughts on Shen’s new kit. We’ll shadow dash back in a couple of weeks for the big guy’s release!" Following the announcement, several Rioters popped on the boards, reddit, and twitter to comment on the Shen champion update! Q turns it into a homing missile towards you, and it lands on the ground when it reaches you"
"Spawns in the fountain with him at lvl1 -> follows him every time he Q or Rs"
"Shen has slightly unusual Energy. Energy pool is 400 and costs are about twice what they would be usually. His energy regen is not increased, but his E passive replenishes a lot from Q attacks. Basically if you keep fighting stuff you will probably keep up energy. If you keep whiffing engages or just disengaging, you will oom." " the end result is him having "slower" energy regen so he has to use his energy refund mechanic on ability hits." "No, tether is Shen only. 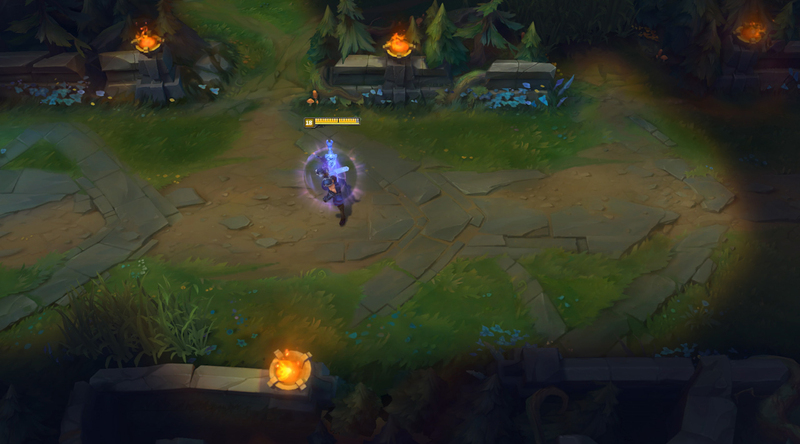 Other players that can see Shen will see a little arrow on his model pointing in the direction of the spirit blade, so they know what direction to dodge, but that's it. Enemies that can see the spirit blade but not Shen get no directional hints at all, though if he casts Q they will see it fly away of course." "Drops a zone. After a few seconds (I think it's currently 2? ), or after Shen or an ally steps in it, it triggers." "Shen W can be used solo or with an ally, no worries." "Currently 1.75 seconds, subject to tuning of course." "W is hard-attached to the spirit blade. If you Q, the zone will move with it. And both are instant-cast." "More or less. Small tweaks. Currently has a bonus HP ratio but higher cooldown." "Top > Jungle=Support I think for Shen"
"Top and Jungle have been his strong roles in our playtests. Support doesn't Q super well TBH, tho players might make it work." Scruffy also commented that Shen's skins will be getting new splashes (except TPA) ! "Shen base and all skins are getting new splashes! Praise ninja sun." "Shen will have updated lore, yes." "Currently: Passive BonusHP, Q AP tho not great ratio, W none, E BonusHP, R AP." "He can proc shields a lot to avoid damage and his base HP regen was buffed a lot." More information and previews available in the 1/13 PBE post.